Supported by a team of expert professionals, we have been able to manufacture Silicon Rectifier, which is used for driving DC supply from AC. Fabricated using high grade components and material, our plastic silicon rectifier finds wide application in engineering and electronics industry for converting alternating current to direct current. 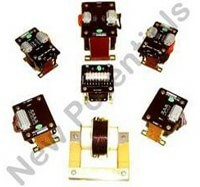 Often it is used to convert DC current to DC current to suit varied requirements of the clients. Available in different capacities ranging from 0 to 1000 volts DC output and 15000 AMPS, this rectifier is offered at industry leading prices. 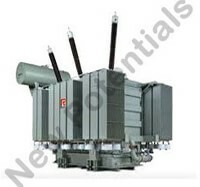 Owing to the quality of these high performing devices, we have became one of the leading Silicon Controlled Rectifier Suppliers in Kanpur, India. We are supported by a hi-tech infrastructure facility, which helps in fabricating superior quality products. Making judicious use of various machines and equipment, our expert professionals customize the range as per the demands of the clients.